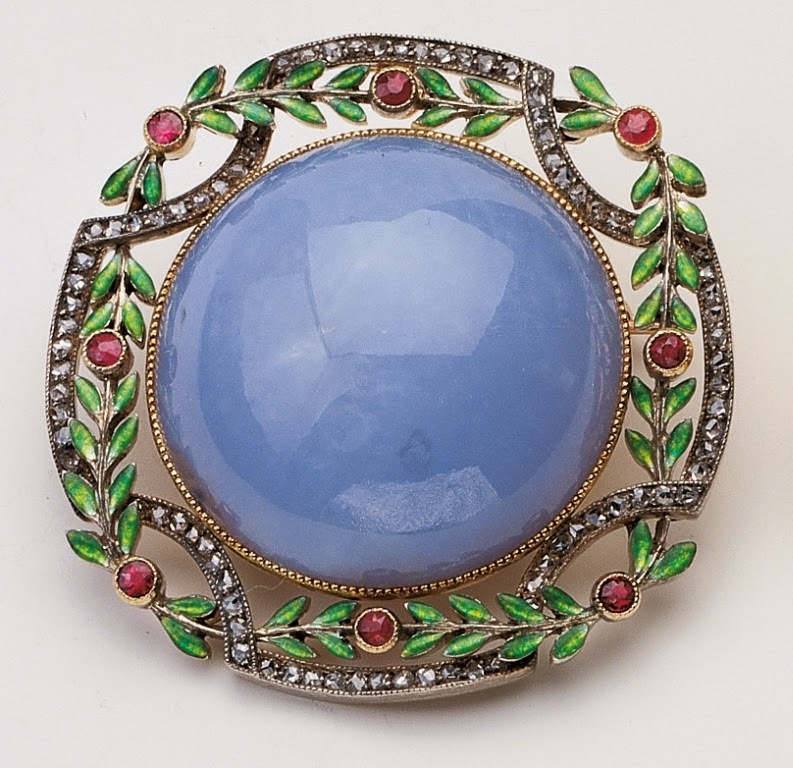 So, let's take a look at another pretty Fabergé brooch! This one was made around 1900! This 1.5'' x 1.5'' x 0.7'' (3.7 x 3.7 x 1.9 cm) sized brooch is made of a cabuchon calcedony surrounded by a wreath-frame of rubies, green enamel leaves, and rose-cut diamonds. It was probably acquired by Queen Alexandra, and is now part of the Royal Collection.